By displaying the non-GMO “Butterfly Seal” on your product you’ll almost surely expand your customer base: More than 70% of all Americans say they prefer to avoid genetically modified ingredients in their food (Consumer Reports). For many, it’s not so much about buying products based on a popular or trendy label. It’s about peace of mind. Cleaner food is where the future is headed. 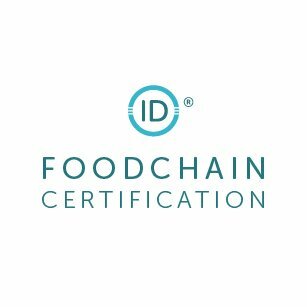 FoodChain ID, a technical administrator for the Non-GMO Project, works with companies like yours to get you Butterfly seal rapidly and cost-effectively. Get the benefit of our deep experience: We have verified more than 75% of all Non-GMO products sold today. Questions? Call 641-469-6181 (option 3) to speak with a live human (M-F, 8:30 am-5 pm CT) or fill out our help form. Thank you for your interest in FoodChain ID and Non-GMO Project Verification. You’ve taken an important first step in offering customers something they really want: greater transparency into the makeup of their foods. That’s why obtaining the “Butterfly seal” is a smart move. But undertaking the verification process takes real expertise. You must understand the Non-GMO Project Standard and its requirements, which include document review, ingredient supplier and facility tracking, annual renewals and more. FoodChain ID knows the Standard, which is evidenced by our having verified over 75% of all Non-GMO products sold today. Our processes are streamlined, efficient and cost-effective. FoodChain ID’s cloud-based compliance management system makes organizing your data and undertaking annual renewals a snap. And, our customer support is second to none. While verification timelines depend on ingredients, the vast majority can be completed in less than 30 days. FoodChain ID’s on-boarding team will ensure that you’re on your way to a smooth and efficient verification experience. Questions? Call 641-469-6181 (option 3) to speak with a live human (during business hours) or fill out our help form. You’ve communicated to us that you’re interested in obtaining the Non-GMO Project Verified seal for your products. That’s great news—and a wise business decision.